A way to share and discuss your mockups. A quick specification you can share with your team and further build upon. 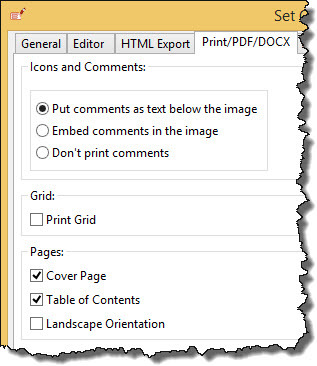 Microsoft Word document – De-facto standard for corporate collaboration. 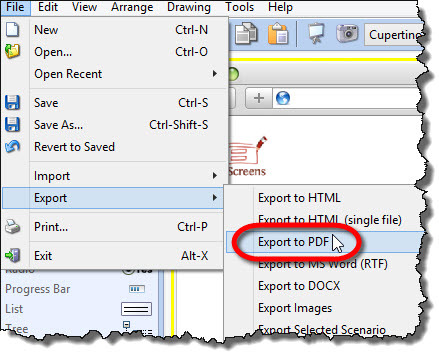 PDF document – You can email a PDF to anyone and be sure they can open it. 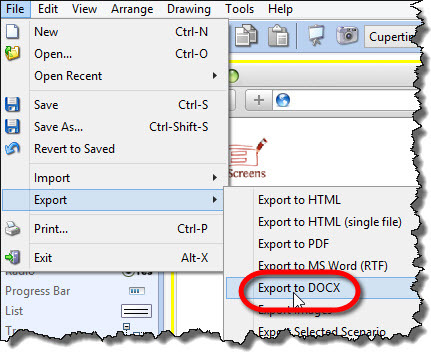 Disadvantage compared to Word is that an exported PDF is read-only. HTML – A folder with pages and images. 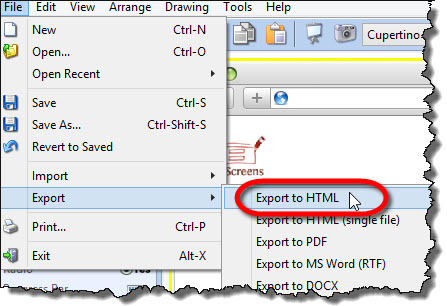 Advantage of HTML is that links work within HTML export. Single-page HTML – Same as HTML, but in a single file, which is more practical for most purposes. Cover page – Create cover page or not. 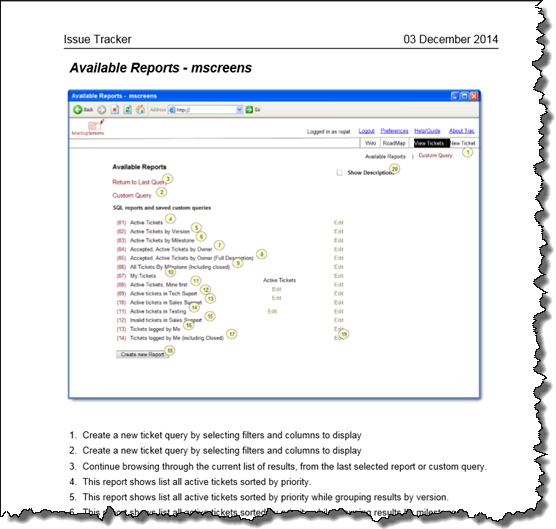 Table of Contents – Create table of contents or not. 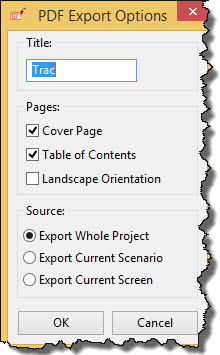 Landscape orientation – To present your mockups in greater detail, you can export them in a landscape mode. 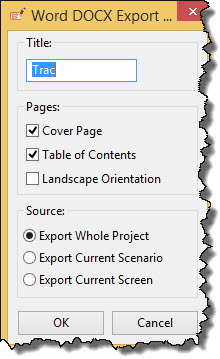 Source – What will be exported: a whole project, current scenario, or a current screen. “Print / PDF / DOCX” tab via Tools / Options (on Mac, it’s MockupScreens / Preferences). 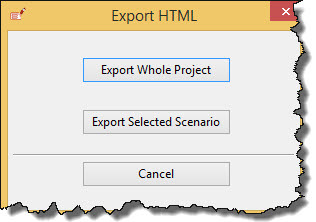 “HTML Export” tab via Tools / Options (on Mac, it’s MockupScreens / Preferences). Open Tools / Options (on Mac it’s MockupScreens / Preferences). Icons and Comments – You can display comments as text bullets below the screen image, or as a part of the screen itself, or omit comments completely. Grid – Whether or not grid will be displayed on screen images in your exports. Cover Page – Whether or not to create cover page. Table of Contents – Whether or not to create table of contents. 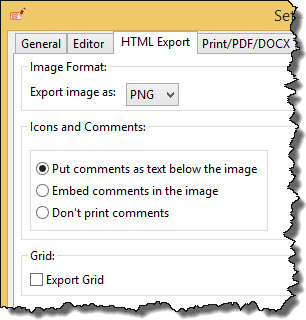 Landscape Orientation – If this checkbox is turned on, exported (or printed) documents will be created in landscape. This gives much more space for images, so they can be presented in greater detail. Open Tools / Options (on Mac, it’s MockupScreens / Preferences). 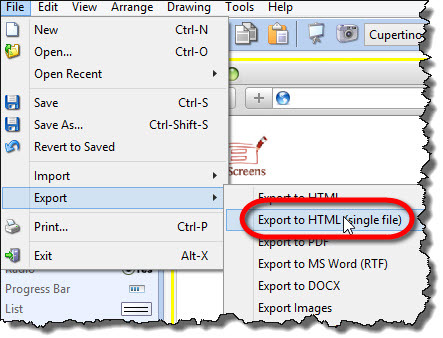 Image Format – Which image format to use in HTML exports. Available image formats are jpg, gif, png, and bmp. Grid – Whether grid will be displayed or not on screen images in your exports.